We’re very proud that Airbus Alabama employee Krystie Dunn helped to create the local chapter of the Association of Women in Aviation Maintenance (AWAM). 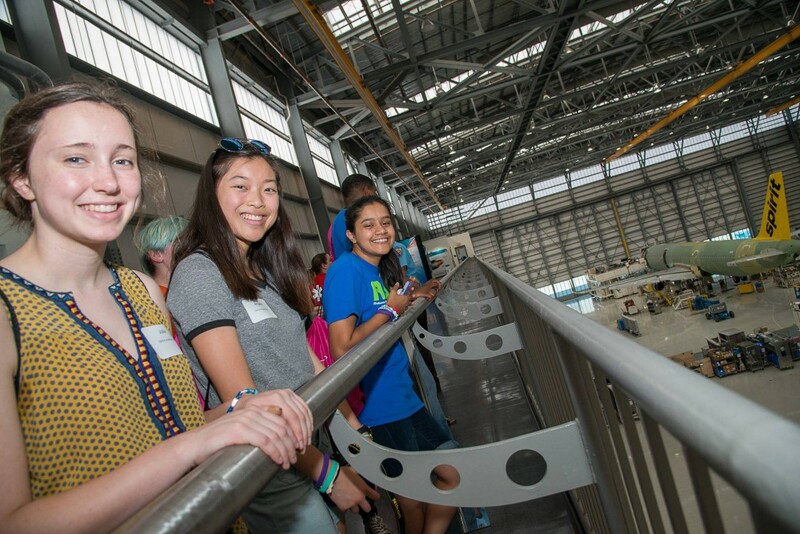 In partnership with many other organizations and companies, Airbus Alabama is working to decrease the gender gap in the aerospace industry, and we were proud to participate in 2018’s Girls in Aviation Day, an event that gives girls and young women the chance to meet women who are pilots, engineers, maintenance technicians, and more. AWAM is a nonprofit volunteer organization championing women in aviation maintenance and engineering. It holds social events and runs a scholarship and awards program. According to AWAM President Angel Green, the organization’s board is following the Promoting Women in the Aviation Workforce Act and looking into advantages it could provide for the organization. Green says AWAM is focused on boosting membership numbers, particularly in anticipation of what might be required to tap into resources the bill could provide.